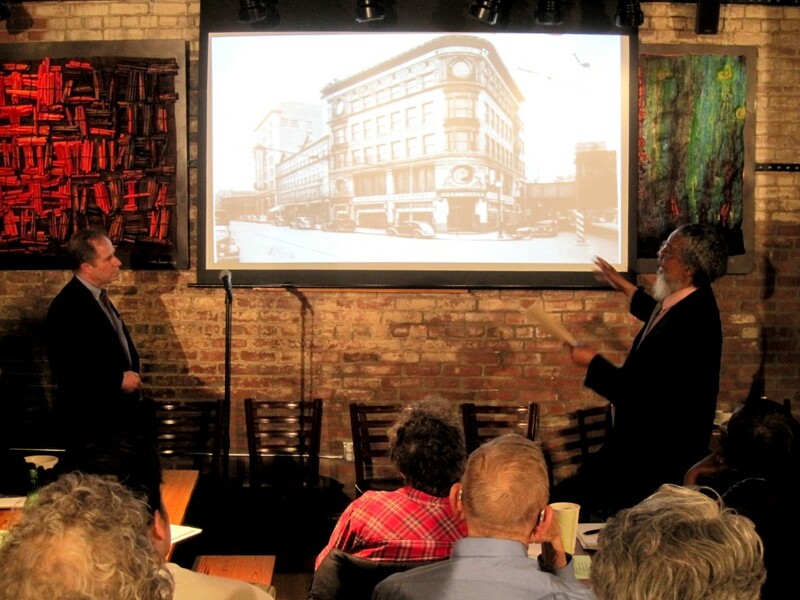 A photo from last night’s “Ferdinand’s: Back to the Future” presentation at the Haley House Bakery Cafe. Below, Shawmut Design and Construction’s President and CEO, Tom Goemaat and State Representative Byron Rushing present a historical photo of the Ferdinand building. The “History Speaker Series” is a program of the Roxbury Historical Society, and co-sponsored by Haley House Bakery Café and Discover Roxbury.